Today, videos have become a very popular means for individuals and businesses to share experiences with others. Businesses discovered that they can save themselves a whole lot of money by creating their own video training tutorials. They are able to capture parts or all of the their computer screen and turn it into videos and use them for training purposes. To make it easier for these businesses and individuals to create videos a company called Techsmith created a powerful software program called Techsmith Camtasia Studio for Windows and Camtasia for Mac. Each one of these software packages brings similar tools for recording, editing and even file format conversions so matter whether you use a Mac or a PC, it will work for you. These tools are what makes Techsmith’s Camtasia Studio the best screen capture software for Windows and Camtasia for Mac is equally the best for Mac users. The key to screen capture software is the many tools that are built in that makes it easy even for a beginner to become a video maker for not a lot of money. These tools are for both video editing and audio editing of files from your desktop using the screen grabber function or a video capture device. The three main groups of tools include recording, editing and file format conversions. The recording capability of Techsmith Camtasia Studio for Windows and Camtasia for Mac is at their very core of the software and the latest versions of both software feature the latest codec technology. This new TSC2 codecs boosts the recording rate up to 30 frames per second. At this speed the result is the smoothest recording and basically double that of previous versions. At 30fps you would be able to record in HD quality video, which would be far better than you would need to create high quality tutorials. 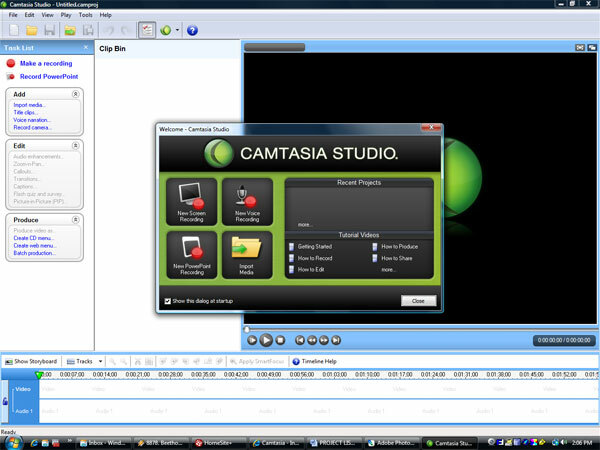 Camtasia Studio recorder can be scheduled to automatically turn on and begin recording, as well as allowing you to select what part of the desktop screen or the entire screen to capture. The powerful editing tools inside Techsmith Camtasia Studio allows you to edit or add audio tracks to a previously recorded video. 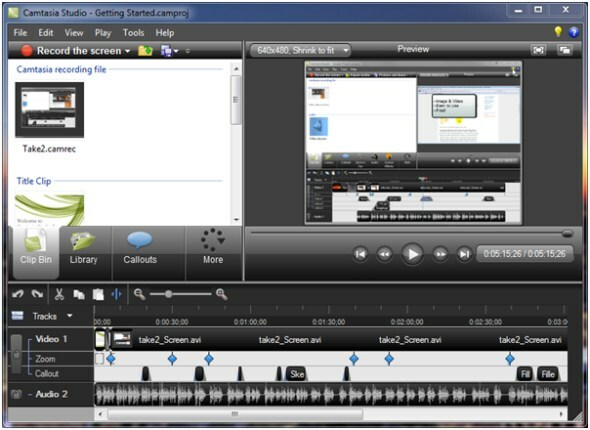 It features a timeline style interface that makes it much easier to add audio to a video clip in order to create video tutorials. The editing tools allow you to use multiple HD sources and combine them with a screen recording to create a high quality presentation video and share it with anyone on YouTube or any other video sharing site. So whether you plan to use it to create tutorials from screen capture or import streaming video directly from a webcam or from iSight in the case of a Mac. 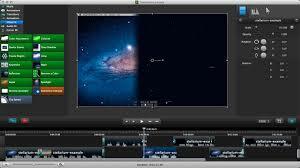 The powerful editing tools in Camtasia are exactly what you need. MP4, MPG, MPEG, WMV, MOV, SWF, BMP, GIF, JPG, PNG, WAV, MP3, WMA and Zipped Library. Camtasia Studio for Windows and Camtasia for Mac have many similar features and functionalities, but they do each have unique functions that the other one cannot do. The comparison chart between the features of Camtasia Studio for Windows and Camtasia for Mac is quite extensive. So rather than list every feature and function of the two software programs, it would be easier to show features that only one has. 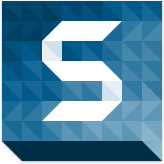 Techsmith created an extensive support system for each of their software products. Camtasia has a large knowledge base established on Techsmith website where users can go to find answers to the most often asked and answered questions. During their normal business hours you can submit questions and get answers from their support staff. While they do not maintain a 24/7 support staff for phone or online chat, the knowledge base approach is being used more and more by the top technology companies today. Techsmith is considered by most to be the authority when it comes video capture software and their Camtasia Studio is the best screen capture software on the software on the market. 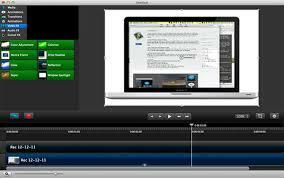 Both Camtasia Studio for Windows and Camtasia for Mac each have all of the industry leading features and are used by both businesses and individuals because of its straight forward interface and loads of video editing and audio editing tools. 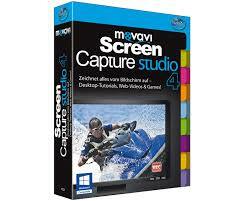 Screen capture is the best way to create software video tutorials and share them on sites like YouTube. Businesses also use this technology to save themselves money when it comes to training new employees and continuing training for current employees. If you are in the market for this kind of software, you really cannot get any better than Camtasia Studio for Windows and Camtasia for Mac because they are the best screen capture software on the market.